This is how the stacking cables go when you have the stacking module and stacking cables for the 2960G series switch. Just follow the cable colors I have outlined. 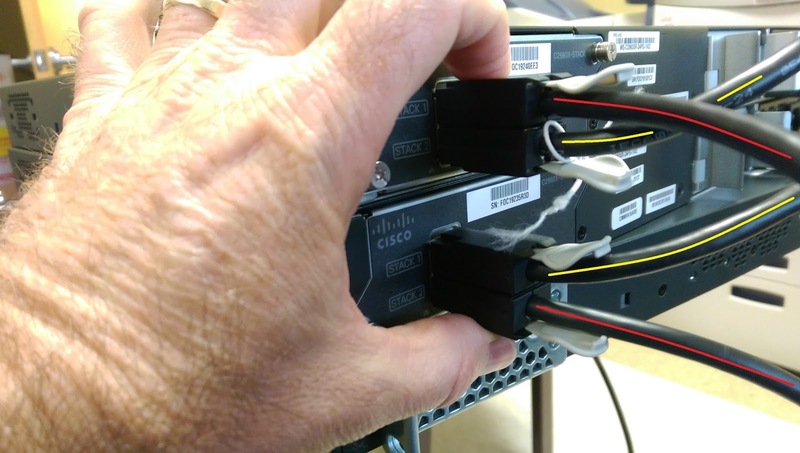 Cisco automatically gets the stack configured. However, it doesnt automatically set priorities. You may want to make sure you do that.